Today’s post is brought to you by the word “bliss”. I didn’t think it would be easy to find much bliss in the face of 10 inches of snow and blowing winds, but my wife convinced me to take a walk with her, anyway, and we did find some “blissful” scenery in the neighborhood. 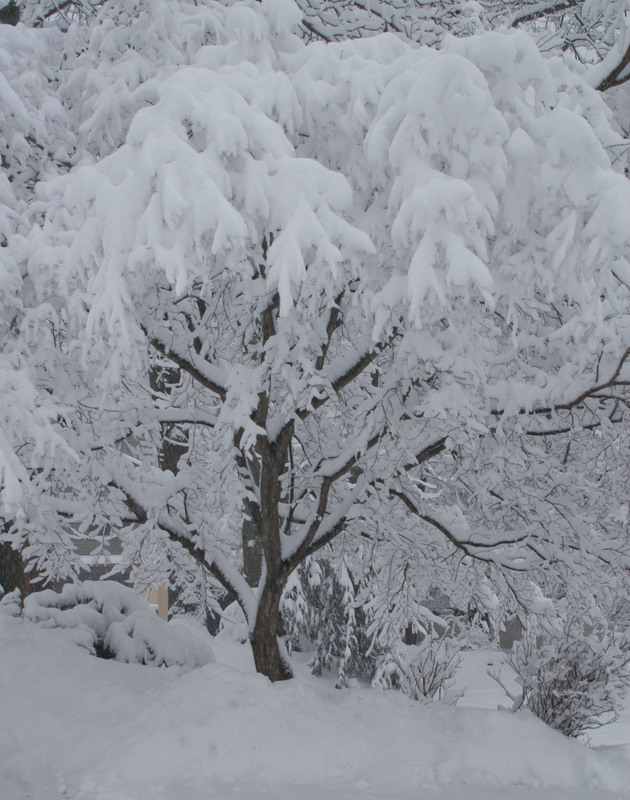 When the snow if still falling softly like this, there is a sense of peacefulness, a “softness”, to the surroundings, especially when the trees wear their cloaks of white as gracefully as this one. The monochromatic landscape can be very soothing, but it is exciting when a splash of color invades the landscape. 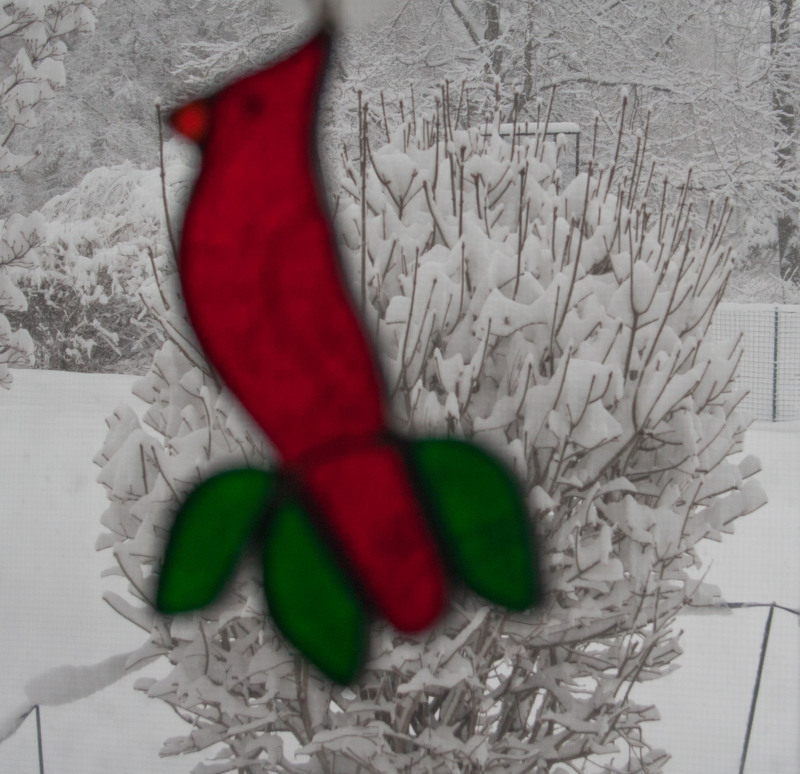 Cardinals are the perfect foil for the white-washed scene—except there were none to be found in my yard. It is blissful, however, to enjoy the snow scene from indoors, where it is warm and dry. And if a cardinal shows up to add a bit of color, so much the better. 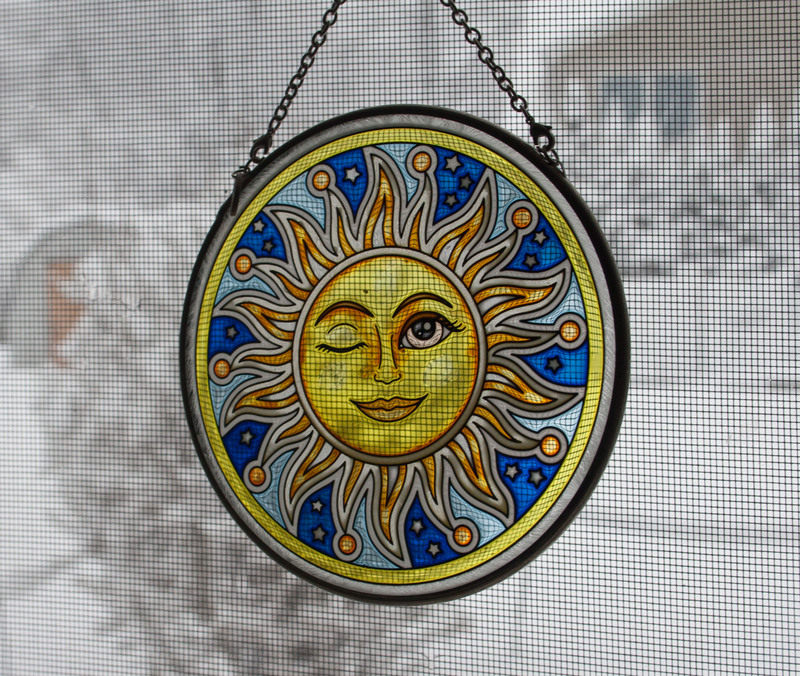 Of course the best message of all is that we are only a few days removed from Daylight Savings Time, with the promise of more light and warmth just around the corner.